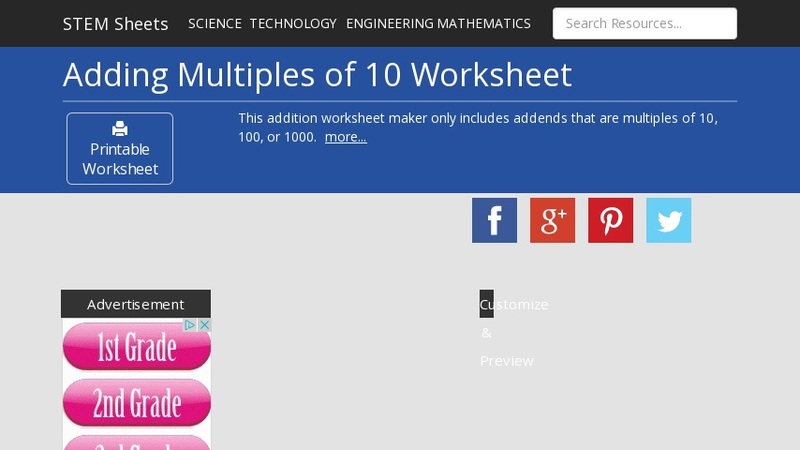 Quickly customize and print adding multiples of 10 addition worksheets with this free printable worksheet maker. All addends are multiples of 10, 100, or 1000. Each worksheet includes an answer key.